It looks as if Paul McCartney may finally get back his beloved Beatles catalogue - in nine years, that is. As Billboard reports, the U.S. 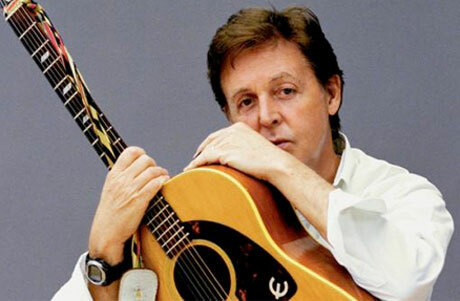 Copyright Act of 1976 allowed songwriters to regain the copyright on pre-1978 recordings after two consecutive 28-year terms or 56 years, meaning 67-year-old McCartney could score the rights to his lost Beatles songs registered in 1962 come 2018 and those written in 1970 in 2026. As any self-respecting Beatles fan knows, the group lost control of the very profitable catalogue when the late Michael Jackson outbid McCartney to buy the rights to the songs in 1985. Then in 1995 Sony became part of the ongoing copyright saga by forming a joint venture with Jackson called Sony/ATV Music Publishing, which paid Jackson $110 million to gain a 50 percent stake of the Fab Four catalogue. Back then, Sony/ATV was worth about $500 million, reports Billboard, but is now valued at a hefty $1.7 billion. Currently, the company holds rights to the entire Lennon-McCartney canon except for five tracks: "Love Me Do" and "P.S. I Love You" (both owned by McCartney); "Please Please Me" and "Ask Me Why" (controlled by Universal); and "Penny Lane" (owned by Catherine Holmes a Court). As we reported in January, before Jackson's death, rumours were circulating that the King of Pop would will McCartney his share of the catalogue. However, that proved not to be the case. So, by the looks of things, this old copyright law may now be McCartney's last hope at regaining what was once his. And if that actually happens, the Beatle will then be the ripe old age of 76. Talk about long time coming.